Is Classical Tai Chi so "new" you are freaked out but yet so "familiar" you are still attracted? 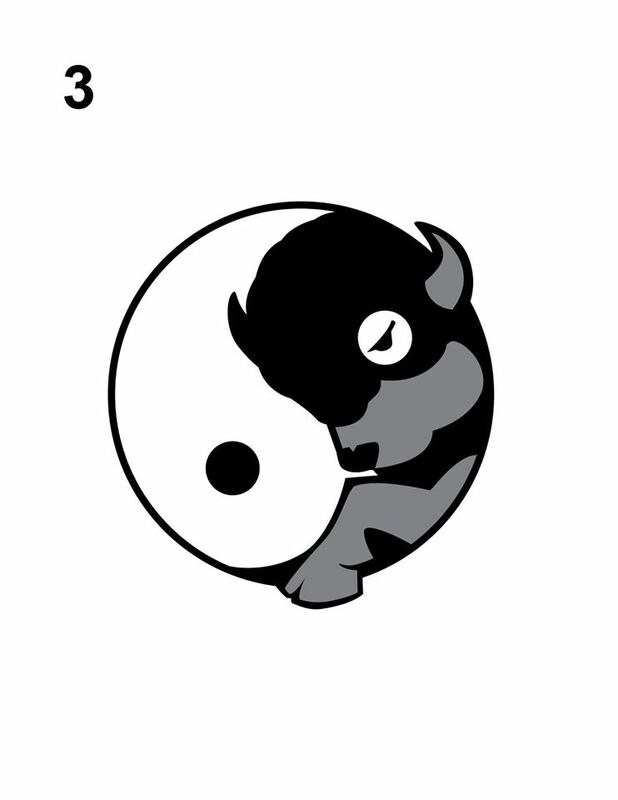 We certainly know what a Buffalo is but it is doubtfull we know what Yin and Yang might be. Yet consumer culture seems to be based on being torn between two opposing forces. I see that new students are curious about the Tai Chi but in the same breath they have a fear of something so new. It makes more and more sense that Master Stephen Hwa now introduces the 10 silk reeling "exercises" from day 1. https://www.youtube.com/results?search_query=parea10 as an essential precursor to learning the Tai Chi form. We want people to like the Tai Chi and I often think it should be like opening a christmas present...a nice surprise. Yet it has to have some aura of being familiar so that people are not too freaked out. If it is too "new" it seems to tank, if only slightly "new" it seems to appleal a little more. It is appealing for its "newness" but acceptable for its "familiarity". The "Exercises" are new on the whole: the "walking", "upper/half/quarter body" turning, the "internal discipline" . Yet there are several other movements/postures that seem immediately recognizable as being Tai Chi...not so "new", but familiar. People recognize those slow, configurated movements like "swimming in air" as being very familiar. save $100, if you decide to buy the complete set of 8 DVD's. "Cold Hands, Warm Heart" but in Classical Tai Chi where's the "Yi"
Please view a tiny video snippet first at that link above before reading: Examining my own movements I discovered that simply opening the hand, straighten the fingers more solved the problem of "bending the arm at the elbow". I think you will be pleasantly surprised, especially musicians, dancers, typists, etc. who use their hands alot. "For some students, “Yi” (intention of movement) is fairly easy to develop. For some students, it is quite difficult to be consistent – other intentions creep in subconsciously from time to time. Students who have studied dancing or are interested in dancing have such problems. Normally, the fingers become very warm after playing the Form even in cold weather. One of my students here who had already achieved good internal movements complained about cold fingers. Upon close examination, she frequently had small flourishes in her hands and fingers. After reducing that flourish, her problem of cold finger improved. Extraneous motions, or nerve signals, along the path of Qi, such as shoulder, elbow, and arms, have the same effect of disrupting the flow of Qi between the body and the fingers. People who use their hands intensively, such as dancers, typists, and piano players could have such problems. It is important for them to keep localized nerve activity dormant and let the Qi from the body take over. 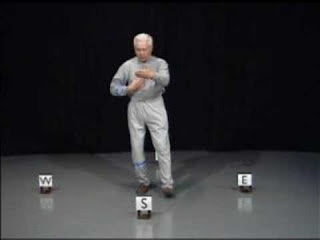 This is a good reason to learn the square form from which the practitioner will get used to movements with steady arms and hands without localized impulses. The focus here is on the arms and hands not on the legs and foot. The reason is that during form playing, the lower limbs have definite functions to perform and its energy and Qi are already integrated with that of the torso. During Form playing, the upper limb’s function is entirely abstract and mental and is easily distracted. ******************** S. T. writes: I have finally finished the “parting the wild horse’s mane” lesson. I thought I had learned earlier lessons well, until I saw myself practice these lessons in front of the mirror. I realize I looked pretty bad. What a wake up call! MASTER HWA’S RESPONSE: This is on par with most students at this stage. This is your first stage in learning those lessons. It will take quite bit more practice to make it look decent. You see, your eye is now much more discriminating than what you can actually do, because you have watched my video for so long. You know what the form should look like. You can actually correct yourself by watching yourself play. Mirror is convenient but not very ideal, because you have to turn your head to watch yourself in the mirror, which will distort your form playing. The ideal way is to use video to record your play and then analyze the problems from the video. At this stage, you want to watch out not only your form position and timing of movements; but also those little extraneous movements unconsciously added to the form, a little shrug of the shoulder here and a flick of hand there etc. These extraneous movements are difficult to get rid of. ************"
"The fingers are not rigid when straight, they are energized. 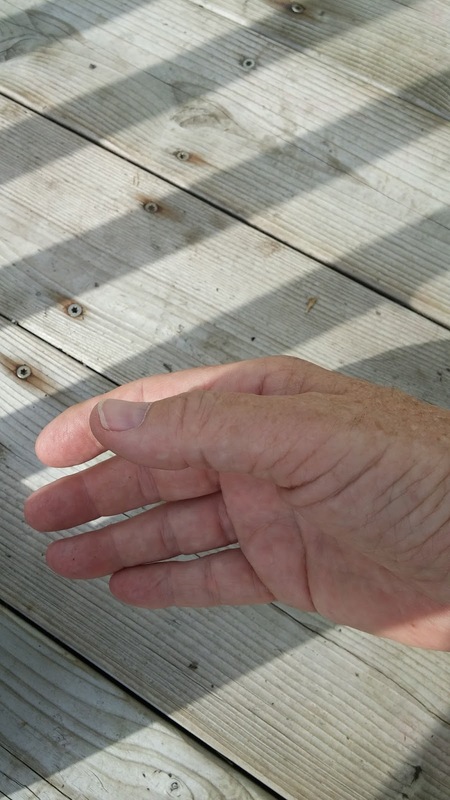 Where is the intention "Yi" going in a hand with fingers that are bent as opposed to a hand with fingers that are straight? If fingers are bent isn't the direction you are going even skewed? Also, with straightened fingers I can use the fingers like a spear or sword tip but I can quickly bend them to a fist, it gives me more option. 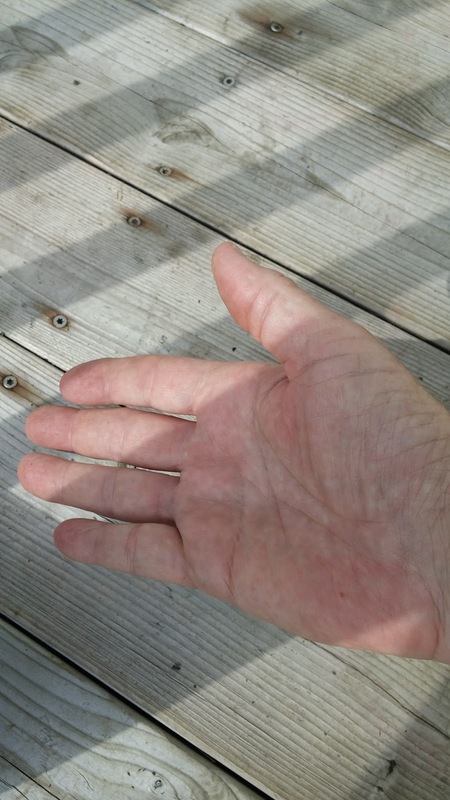 With bent fingers and no intent if I connect even with soft tissue, I may break a finger. With straightened fingers I feel the sensations of "qi" in my hand, with bent there are none. Pushing on my chest with straightened fingers is the first time I felt one of Master Hwa's applications and he said "...you forgot this one..." I had asked him about applicaitons for the grasp bird's tail series when we first met and was showing off what I had learned in Toronto...MY Bad. CONTINUATION OF DIALOGUE: Some time ago Stephen Hwa, PhD who is the Master Instructor of Classical Tai Chi started a discussion in the Classical Tai Chi email "group" on "learning paths" which can benefit those students who do not wish to be "proficient" practitioners of the entire art. There has been very little activity in that group for some time, hence my desire to continue the dialogue in other venues such as Facebook, Blog and email to my students, some of whom have studied with him in workshops. The central idea is to tailor the teachings to a large and varied population, thus attaining a substantial student body and maintaining a viable school. In my visits to Florida and my correspondence with him I have witnessed his experimentation with this concept of "tailoring". I have also organized and participated in workshops in which he reiterated these different scopes of teaching. On the whole I see that he has extracted certain parts of the art which are suitable for certain segments of population, such as the elderly. Along with this is his extraction and iteration of how teachers can attain a different approach to initiate students into the art both keeping their interest high from the beginning and continuing right through the course. In gathering my thoughts on this I keep coming up against the thought that Classical Tai Chi has a very good methodology for dealing with one specific need and problem of the elderly that does not entail them becoming "proficient practitioners". This is so unlike many Tai Chi programs which seem somewhat "run of the mill". In their desire to "help" all of them they still take the course that students including such population as the elderly need to take the "scope" of how a "proficient practitioner" would proceed in their learning. To continue with this dialog I have outlined one "approach" to a very specific problem and segment of population. 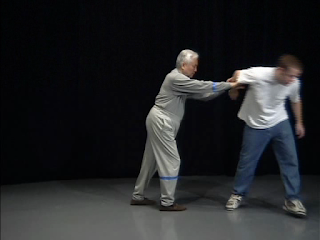 CLASSICAL TAI CHI AND FALLS PREVENTION IN OLDER PEOPLE. 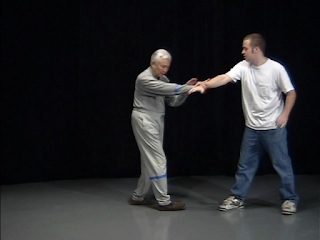 There is hardly a lack of research programs and data that has been gathered which attempt to show that what can only be called "generic Tai Chi" can amend what are many characteristics in older adults that place them at increased risk of falling, including poor balance, loss of strength, limited flexibility, and fear of falling. On the other hand I have not seen any studies which have directly examined the influence of the internal discipline of a Classical Tai Chi “walking” or lower body practice on falls in this population. There have been randomized controlled trials utilizing generic Tai Chi or Tai Chi-inspired exercise which were published between 1996 and July, 2007. The studies varied considerably on study settings, participant characteristics, sample size, type of Tai Chi intervention, length of intervention and quality of the study design. Of the six studies that used generic Tai Chi forms, three purport to show significant improvement in fall-related outcomes. 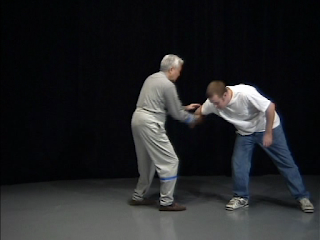 One study using generic Tai Chi-inspired exercise also purported to have a significant fall-related outcome. 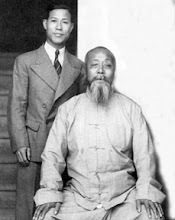 In each of those studies however some type or variation of a Tai Chi standard “form” or series of controlled movements which teach “postures” was used. My experiences as well as those of my own teacher Stephen Hwa, PhD speak to the difficulty of teaching “postures” where it is somewhat of a cliché’ when one consistently hears statements on the order of: “I can’t remember, do I raise the left hand or right hand, turn left or turn right, etc when I do this” AND similar statements. This is the bane of students who start a program that emphasizes the rote memorization of Tai Chi forms and/or separate practices of auxiliary “exercises”. Despite the evidence which purports demonstrating the beneficial influence of Tai Chi practice on known risk factors for falling in older adults, evidence indicating an actual impact on falls-related outcomes is equivocal. One wonders if a large-scale study that emphasized the specific parameters of “internal discipline” in Classical Tai Chi walking an emphasis on lower body training might be more meaningful. Might this type of study be able to be more consistent as an intervention? Might this type of study be more clinically meaningful in clarifying the role of Classical Tai Chi “walking” training rather than the larger scale of the entire art of Tai Chi as an effective falls prevention program. 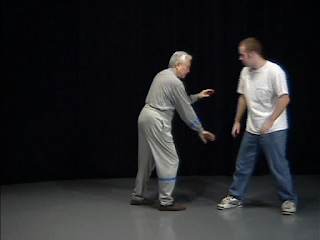 A Classical Tai Chi “walking” training program is already in play for the training of any practitioner who wishes to become proficient in the art. On the other hand, not everyone wants to become proficient in the art. 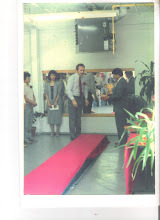 Above all, might this type of study be organized into a viable research program and collection of data which does indeed show that Classical Tai Chi above all others can amend the characteristics connected with "falling" that I have outlined? METHODOLOGY: Whether aware of it or not, each human being is faced with a dilemma in the form of what has been called “controlled falling” each and every time we take a step. In other words the center of gravity is NOT under control and we delude ourselves if we think it is. This is not to say we haven’t learned very well how to keep each leg (NOTE THE EXTENSIVE USE OF AN EXTREMITY THE 'LEG") moving fast enough to catch ourselves thus translating such momentum into “walking”. Is it any wonder then that we are subject to falling as we grow older, losing strength in the legs, losing feeling in the feet, losing coordination, etc. ? What has happened to the role of the rest of the body in this dilemma, "rest of the body" being the core or torso? In essence we are relying on the very mechanisms that were faulty to begin with to carry us through an old age that may also be fraught with disease. It is my contention in agreement with my own teacher that not every student who starts Tai Chi wishes to become proficient in the art. On the other hand, the Classical Tai Chi walking training has many facets, some are in the form of exercise, this also tunes the nervous system in the lower body as well as strengthening it and the walking training teaches the student how to maintain the correct body posture. Additional elements of the walking training teach the student how to integrate the principles of Tai Chi walking into everyday life. The essence of “walking” training is to teach the student to use “internal discipline” to direct the movements of the torso to move the legs. The fact that we see many elderly as well as even younger people whose movements are really concentrated in the legs and feet (as well as arms, shoulders, etc.) and less on the core of the body is an indictment of already being on the road to deteriorating health. The torso is not being used, one sees people both young and old walking with unsteady steps. EXAMPLE 1. One example of a “walking” training exercise might consist of having the student stand with feet parallel and visualize that the pelvis is a very real extension of either leg. With this visualization in mind the student raises either the right or left hip by using the abdomen and back to lift either right or left side of the pelvis, and this in turn lifts the leg. The student moves the foot forward and stretches the pelvis down until the foot is fully planted. This is how the leg movement is “internally driven” with upper body remaining still. and once planted the foot “pulls” the body forward. It is my sincere hope that those health professionals in the community as well as those who are proficient practitioners would also contribute to this dialogue on the efficacy of this Classical Tai Chi "walking" training. For example, what might the role of an Occupational Therapist, Physical Therapist, public health practitioner, senior service provider, clinician be who wants to address "falling" among the elderly in the community? Could an Occupational Therapist, a Physical Therapist, etc. be trained sufficiently themselves to implement the "walking" as a viable program or could they collaborate with a Classical Tai Chi instructor in such a program? Could there be such a collaboration as an implementation of a study or studies which do examine the influence of a Classical Tai Chi walking practice on falls in such a population as outlined in "Proposals"? Please feel free to correspond to info@classicaltaichiofbuffalo.com SUBJECT: "Approaches" . in an effort to keep this dialogue going albeit on this one "segment". In reference to your recent request for a dialogue on the subject: "I have been experimenting with different scope of teaching that is extracting certain parts of our art which are suitable for certain segment of population, such as elderly population." From visiting and participating in your class in Florida I picked up on some few "parts of the art" which can be useful for the elderly population. It cannot be denied that one of the "parts" has to be how we can be using the "Tai Chi Walk"
I cannot help but continually think of what I experienced when I participated in the "walking exercises" with the very large class. What I saw was a variety of "gaits", some of which I believed were abnormal but since I was participating was not able to zero in on specifics. I have to say however, what a treasure/miracle it is to have a normal gait and to not be afflicted by an abnormal gait that may even be there because of some disease. One of the things I like to do with our class is use a long corridor (which we have access to) and simply watch students come and go as they walk normally up and down the hall. This seems to give me a better handle on how I can breach the gap on even introducing the walking exercises. I can't help but think that an instructor of Classical Tai Chi can benefit from some preliminary observations of what his/her class is capable or not capable of in an everyday kind of environment instead of taking a "one size fits all" approach. As a side note, some major Universities publish documentation that there are literally dozens of abnormal gaits associated with various disease states. "The concern we have is that there are different category of potential students who could benefit from learning our tai chi. But, different category of incoming students have different objective of learning as well as different capability of learning. One learning path can not fit all." Here is a request from Master Stephen Hwa for a contribution of thought, opinion,discussion, ideas, that are appropriate to the subject he raises. 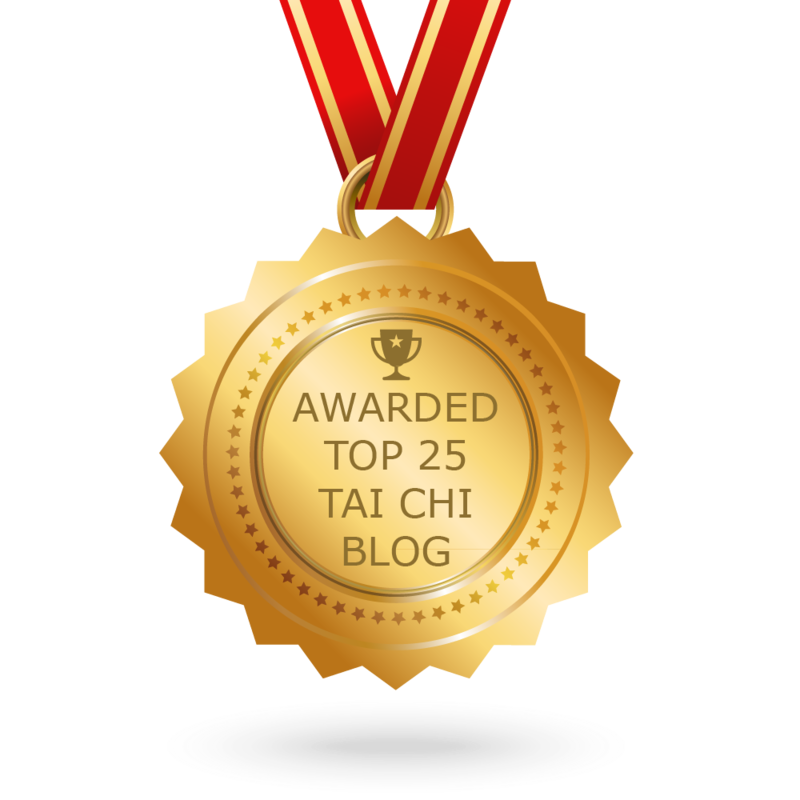 "I have been in discussion with some of you regarding the learning path for Classical Tai Chi. The concern we have is that there are different categories of potential students who could benefit from learning our tai chi. But, different categories of incoming students have different objectives of learning as well as different capabilities of learning. One learning path can not fit all. If we are interested in setting up Classical Tai Chi schools, we need to tailor our teachings to a large and varied population , not limited to those who have the ambition to become a proficient practitioner of all aspects of our art. One has to have a substantial student body in order to have a viable school. I have been experimenting with a different scope of teaching that is extracting certain parts of our art which are suitable for certain segments of the population, such as the elderly population. And also, experimenting with a different approach to initiate students into our art. Nowdays, one has to keep students' interest high right from the beginning and continue through the course, otherwise, one will not be able to maintain a substantial and stable student body. I hope to start a dialogue here and hopefully come up with some good approaches. And also, I am planning on having a workshop in a the near future on these subjects and other questions you may have."